Hello, hello & HAPPY FALL, my fellow autumn lovers. Lauren here from LaurenKelp.com and boy, do we have something delicious for you today! 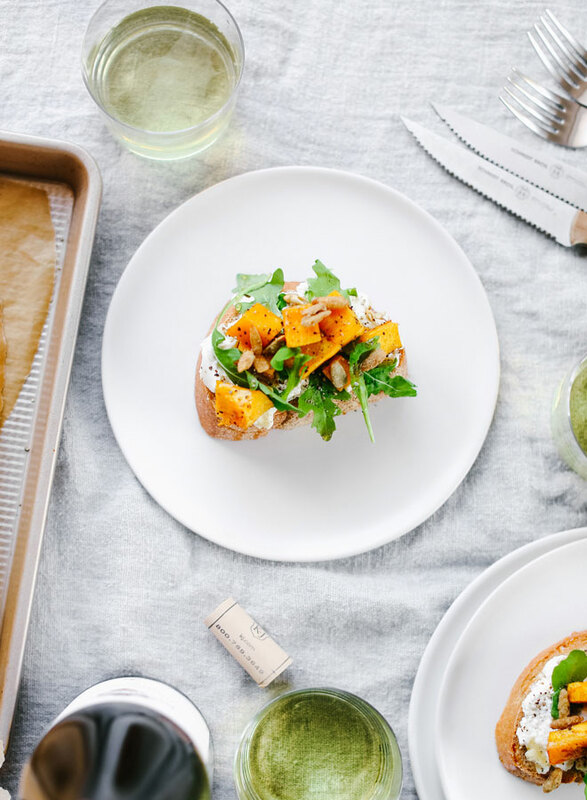 It’s officially pumpkin season and to celebrate, we are whipping up a fresh batch of pumpkin bruschetta. Topped with ricotta & arugula and paired perfectly with a crisp glass of Kendall-Jackson Vintner’s Reserve Chardonnay – it’s quite possibly the perfect appetizer for any occasion! So, it’s the start of the week and you are thinking that things are starting to settle down a bit & that it’s the perfect time to make some plans with your friends. Maybe it’s a football game watch party, maybe the gang is coming over to your house after apple picking (if so, can I come?! ), or maybe it’s just an at-home happy hour (I mean…book club) at your house – either way, you want something delicious to serve, but you don’t want to spend a ton of time in the kitchen. I mean, you’ve got guests over! That is where this lovely little dish comes in. 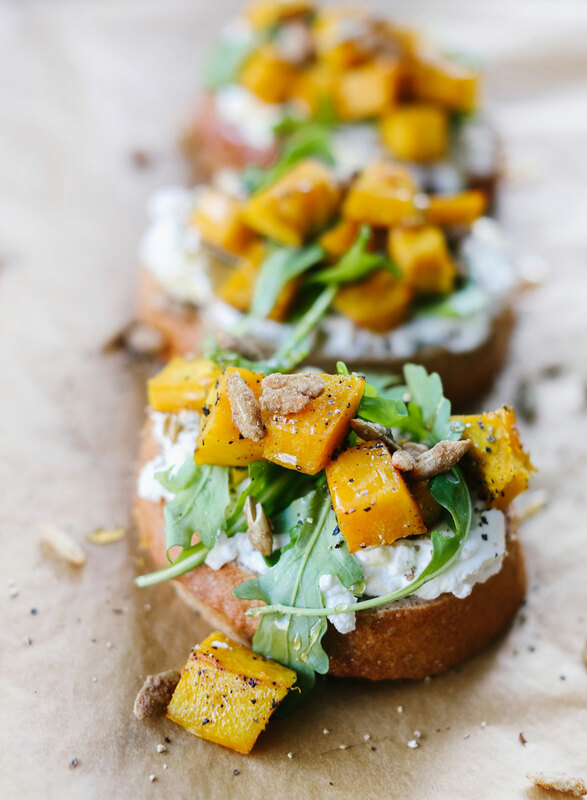 Perfectly delicious, this pumpkin bruschetta is super easy to make, packs a stunning presentation, and is delightfully bite-sized. Grab a bottle (or two) of Kendall-Jackson’s Vintner’s Reserve Chardonnay and you’ve got yourself a party! Typically, I don’t tend to drink white wine in the fall (totally personal preference) but the crisp, cool flavors of the Chardonnay pair perfectly with the roasted taste of the pumpkin & seeds. The wine helps make the dish refreshing and light and the sweet undertones of the Chardonnay compliment the savory additions to the bruschetta perfectly. Drooling? You should be! Well, what did I tell you? Wildly easy & the presentation is stunning. No one wants to spend their time in the kitchen when guests are over, so do yourself a favor – pick up these ingredients and have them on hand for all your fun plans this weekend! Plus, it’s always a good idea to have a bottle or two of Vintner’s Reserve Chardonnay on hand. Happy entertaining!